Weaving is one of my greatest joys. My loom is just the right size to rest on the arms of my recliner in the evening, light enough to join me outside in the September sun. I love the feel of the yarn or thread in colors bright or soft as they merge to create a piece of cloth, a warm scarf. I love weaving. It’s a satisfying, centering hobby with money making potential. At this point, writing fiction is also a hobby, one that I want to turn into a job. Let’s look at the difference here. According to The American Heritage Dictionary, a hobby is: “An activity or interest pursued at ones leisure for enjoyment.” And a job is defined as: “1. A regular activity performed for payment. 2. A position in which one is employed.” These two definitions are easy to understand. They are similar in the pursuing of an activity or interest for enjoyment, as a job is often the result of this pursuit for us. The problem, at least for me, is having myself for a boss. · I will continue to take writing classes and attend workshops, conferences, and networking activities with other writers. 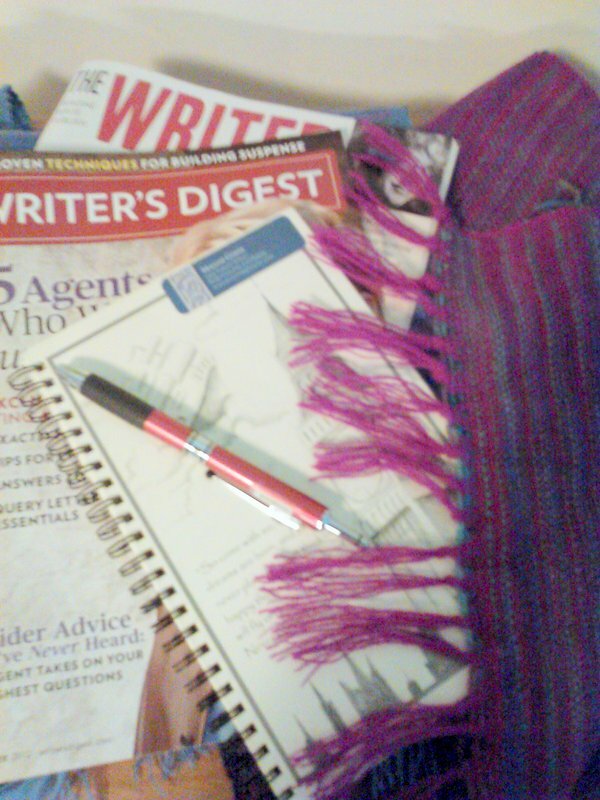 · I will spend time each day in writing activities, including but not limited to, researching, sending out my work to agents and editors, and actual ongoing writing. · I will never again, under any circumstances, give up, throw up, or curl up in the fetal position in despair in the face of rejections. · I will continue to read the published novels in my genre, old and new, good and wretched. · I will self-evaluate my performance at regular intervals, setting specific goals for improvement. And, as my own boss, I will therefore hold me accountable to the above in fear of unleashing the wrath of my inner witch upon myself. I especially like that one about not curling up in the fetal position in despair...it takes a while to get there, but after a few thousand rejections, it becomes so routine we don't even notice. Inspiring post, Maggie. I, too, will try hard to resist the fetal position...and all that other great stuff, too! My boss is lazy. Lol! Great goals!